Osgoode Professional Development, Osgoode Hall Law School of York University - Find Your LL.M. 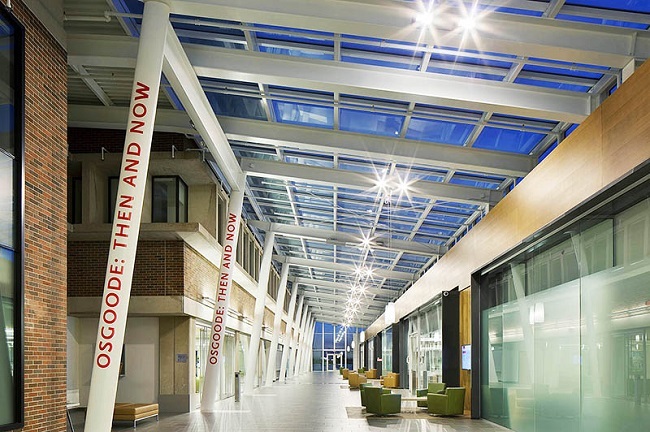 Osgoode Professional Development (OsgoodePD), is a division of Osgoode Hall Law School at York University – one of Canada’s largest, oldest and most prestigious legal institutions. We foster the career advancement of legal professionals worldwide with a wide range of study options that include LLM degrees, non-credit and preparatory programs. needs. From full-time professional graduate degrees to non-credit courses to help you prepare for the NCA Exams, OsgoodePD has your development goals in mind. Students will complete their studies in two locations: at Osgoode Hall Law School on the York University campus, and at Osgoode Professional Development in downtown Toronto. This gives students access to the full range of campus services and downtown Toronto amenities. The Osgoode Professional Development Conference Centre at One Dundas Street West is situated in the heart of downtown Toronto. As Canada’s economic capital with a multicultural spirit and cosmopolitan flare, Toronto is a great place to live, study and work. Toronto, the capital of Ontario, is home to people from around the world. Its population of 2.5 million makes it the fifth-largest city in North America, and it is ranked as one of the safest. Toronto’s bustling finance district, just steps from the OsgoodePD Centre, is the gateway to a remarkably diverse economy that includes many leading law firms, the Toronto Stock Exchange – the world’s fifth largest – and a majority of Canada’s corporations. 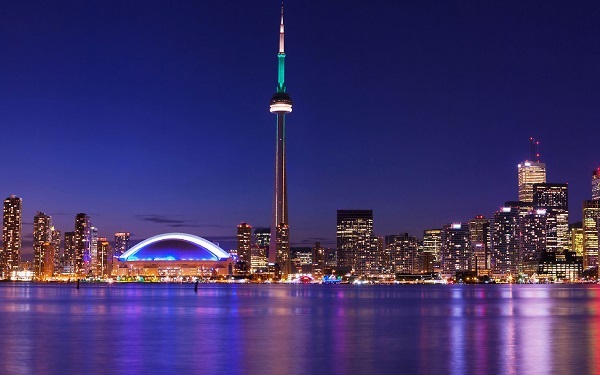 Toronto is also Canada’s financial capital and the third-largest financial centre in North America. The city’s business capital ranks alongside economic powerhouses such as New York, Boston and Chicago. Torontonians are well-known for their inclusiveness and tolerance. Each year, some 100,000 new immigrants settle in the city that UNESCO has rated the world’s most diverse. In fact, approximately 49% of Toronto’s residents were born outside of Canada, and the city works hard to bring a little piece of home to every one of its diverse communities. The city’s more than 7,000 restaurants reflect the tastes, cultures and ingredients of the world, and Toronto is the proud host of more than 1,000 world-class festivals, including the Toronto International Film Festival, Caribana, the Honda Indy Toronto and the Toronto Jazz Festival. The city is a cultural paradise with outstanding museums and art galleries such as the Royal Ontario Museum and the Art Gallery of Ontario. It is home to the Toronto Symphony and the Canadian Opera Company, and countless venues for all types of entertainment. Every year, Toronto’s International Film Festival reinforces the city’s reputation as “Hollywood North”. Four major league sports teams also call Toronto home – the Toronto FC (soccer), the Toronto Raptors (basketball), the Toronto Blue Jays (baseball) and the Toronto Maple Leafs (hockey). Major sporting events for tennis, golf and auto racing also take place annually in Toronto. To this, add a low crime rate, clean environment, hiking and biking trails, beaches, a beautiful waterfront and a public transit system that earns the city a consistent rating as one of the most livable cities in the world. Students in our Professional LL.M programs benefit from an exceptional level of student service from our dedicated staff, who make it their priority to ensure each student has a truly memorable educational experience. Access to information about OsgoodePD’s programs and events, along with course webpages, is provided through the MyOPD student portal. 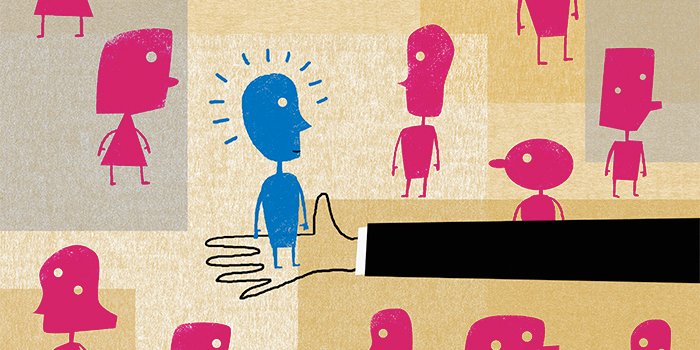 York University champions new ways of thinking to drive teaching and research excellence. Osgoode Hall Law School internationally renowned as one of Canada’s largest and most distinguished law schools. Our motto is “Through Law to Justice.” It’s what we live and breathe. Osgoode is a diverse and supportive community that takes seriously its professional and ethical obligation to serve the public. 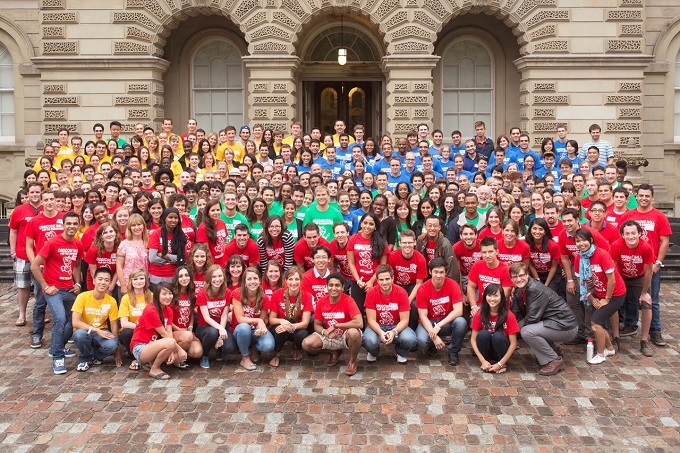 Osgoode is a place where students, faculty, staff, and partner organizations work together to achieve the common goal of making a difference around the globe through leadership and service both within and beyond the legal profession. We promote respect of diversity of people and perspectives through our commitment to inclusion. We are dedicated to increasing the diversity of our student body so that it reflects the varied nature of Canadian society. We are committed to critical thinking, professionalism, ethics and experiential education that extends beyond the conventional classroom and library experiences. 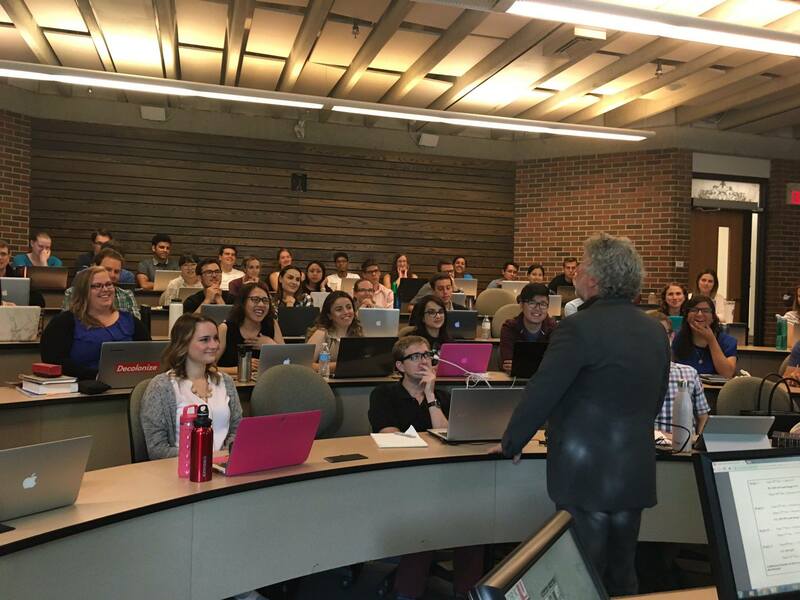 As one of the oldest, largest and most distinguished law schools in Canada, Osgoode has been the leader in developing the principal features of the modern law school curriculum. Our Juris Doctor, Graduate and Professional Development Programs offer extraordinarily rich and varied perspectives on law taught by the country’s leading scholars and finest practitioners. We encourage you to submit your documents as early as possible as the admissions committee meets on a regular basis and may be in the position to make early offers of admission. Keep in mind that not every specialization has start dates each term. Late applications are not considered for the Canadian Common Law or International Business Law and other full-time specializations. Subject to space availability, late applications may be considered for other specializations. Please contact admissions-opd@osgoode.yorku.cato inquire about the possibility of submitting an late application. Below you’ll find information on applying to graduate degree programs through the York University application portal. If you’re interested in applying for Single Course Enrollment, you can find instructions on how to apply here. Submit your application using York University’s Graduate Studies online application. 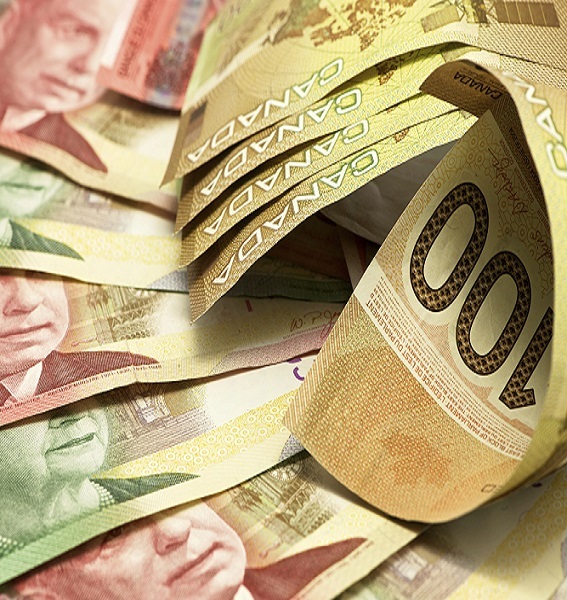 A non-refundable application fee of $100 CAD is required, payable by Visa or MasterCard. Within approximately two business days of the submission of your online application form you will receive an e-mail containing your student/application number. Use your student number and date of birth to log into your application on MyFile and begin uploading your documents. 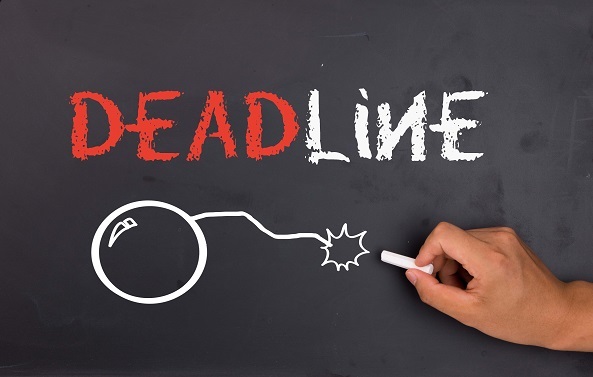 All application documents must be received two weeks after the application deadline, however we encourage you to submit all required documents as soon as possible after receiving a student/application number. The admissions committee review files on an ongoing basis and may make early offers of admission where files are complete. • Personal Statement: Your personal statement should discuss your interest in the program and how your past studies and related professional experience have prepared you for the program (maximum 500 words in length). • Writing Sample: An academic or professional piece of written work that demonstrates your academic ability. • Two References: References may be academic or professional. You can either provide your referee details via MyFile and a reference form will be sent to them via e-mail or you can give them our Recommendation Form. You can upload “unofficial” transcripts through MyFile. 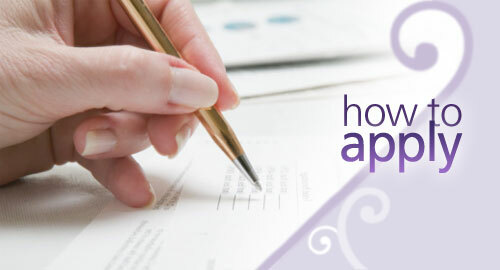 Transcripts provided in this way are sufficient for the initial assessment of your application. You may receive a decision of conditional admission based on uploaded “unofficial” transcripts. At that time (or as soon as final transcripts are available) you must send one final (indicating degree conferred) official transcript for every postsecondary institution you have attended. • If transcripts are in another language, an official English translation is required. • If the name on your transcript differs from the legal name that you currently use, please make sure that you include your former name on your application form. • If you have taken courses at York University, we will obtain transcripts on your behalf. Please provide your York student number with the application and ensure that you have no outstanding fees, as such status will block the release of your transcript. • To be considered “official”, it must be evident that you have had no direct access to the transcripts. Transcripts must come directly from, and bear the seal of, the issuing institution. If the institution issues transcripts directly to you, the envelope must be sealed by the institution and remain sealed until opened by York University to be considered official. 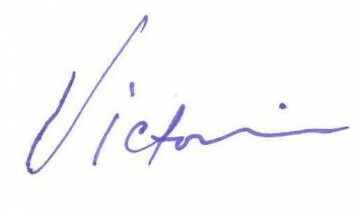 • Photocopied or faxed transcripts are not considered to be official. • Transcripts from other credential evaluation services are considered “unofficial”. • Original transcripts submitted become the property of York University and cannot be returned. If your first language is not English, you must supply proof of language proficiency as set out in the table below. You may be exempted from this requirement if you have completed at least two years of full-time study at an accredited university where English is the only official language of instruction at the university (not at the program level only). For more information about language requirements click here. Fees include the required course materials. Where assigned, textbooks are provided in hard copy and all other course materials and readings are provided in electronic format only. Students who complete the program in fewer than the above will have their final installment added at the end of their program. Students who require more than the above will be subject to additional tuition fees. Supplementary fees are included in each term’s tuition fee installment and are subject to change each term based on approval by York’s Board of Governors and in accordance with guidelines set by the Ministry of Training, Colleges and Universities. For more information please see Student Financial Services. Supplementary fees for the Summer 2017 term: $160.65 for part-time students, and $321.30 for full-time students. Registration Fee: $15 per term (non-refundable). International Students’ Health Insurance: The University Health Insurance Plans (UHIP) is mandatory for all international students. This does not apply to domestic students. For more information, visit the York International website. Domestic Students’ Health Insurance: Full-time domestic students York University Graduate Students’ Association (YUGSA) health plan. The plan is mandatory for all full-time students without comparable coverage for drugs AND dental and is optional for those registered part-time. Videoconferencing: Students who opt to participate in the program via videoconference will be provided with the required hardware and software at a cost of $300. This fee is in addition to the tuition fees listed above. Students in the Professional LLM program may qualify for financial aid if they meet the eligibility criteria. Please visit York’s Student Financial Services website for more information. Students in the Professional LLM program may qualify for Royal Bank Credit Line of up to $80,000 at a preferential interest rate. For further details and contact information, please refer to the Information Sheet. Osgoode Professional Development bursaries are granted to LLM students with financial need. Applications are accepted once every Fall, Winter and Summer. To be eligible students must have completed at least one term of study. Entrance scholarships are awarded to international students applying to a full-time LLM program who demonstrate the strongest academic ability and potential as indicated by their application materials. The maximum amount awarded is $5,000. All individuals who apply and have submitted all required documents by late February of the year in which they intend to start the program and meet the criteria are eligible for these scholarships and will automatically be considered for an entrance scholarship (see application deadlines for details). If a scholarship is awarded, it will be credited to the student’s financial account during the Winter term. Professor Marilyn L. Pilkington, the Dean of Osgoode Hall Law School from 1993 to 1998 and founder of Osgoode Professional Development, established this award to be given to a student pursuing studies in the LLM program. The award will be granted annually (each Fall term) to a Canadian citizen, permanent resident, protected person, resident of Ontario, on the basis of academic achievement and financial need. Preference will be given to a graduate of Osgoode Hall Law School. Note that this fee waiver is administered by York University, not OsgoodePD. The fee waiver is a partial waiver for this program and is capped at the current Faculty of Graduate Studies part-time tuition fee rate and covers academic fees only. Students are responsible for any additional charges including interest charges, student health and dental plans, course materials fees, supplementary fees, etc. For more information see the Waivers and Payments by a Third Party (External Agency) page on York University’s website. Students may qualify for a tax credit for tuition fees and education amounts. The amount of the tax credit depends on each student’s taxable income. For information, please consult Canada Revenue Agency’s Information on Students and Income Tax. Course drop requests must be made in writing by submitting the completed Course Transaction Form to the Graduate Program Assistant for the course. Payment in full to Osgoode Professional Development is required upon acceptance of your application for LLM Single Courses. A full refund (less a $75 administration fee) will be issued for cancellations received in writing a minimum of 14 days prior to the course start date. Written cancellations received less than 14 days before the course start date will be refunded subject to a $250 administration fee. No refunds will be issued after the course commences; non-attendance or withdrawal after the course start date will incur the full fee. 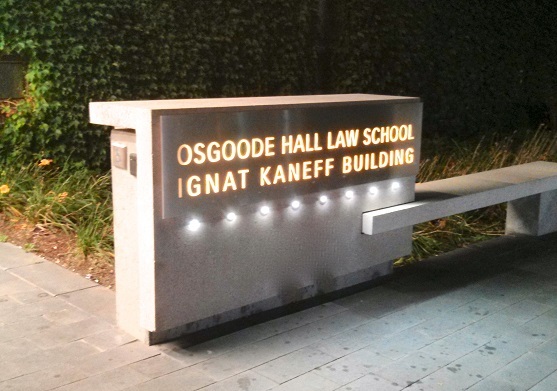 OsgoodePD’s flagship academic programs include a course-based Professional LLM degree with a variety of different specializations taught on campus or through distance learning by Osgoode’s award-winning professors, senior practitioners, judges and policymakers. The International Business Law LLM and Canadian Common Law LLM programs are designed specifically for internationally-trained lawyers and law graduates. If a degree isn’t your goal, you can choose from a selection of LLM courses offered each year as single courses. York University recognizes that many Indigenous nations have longstanding relationships with the territories upon which our campuses are located that precede the establishment of York University. We acknowledge our presence on the traditional territories of the Mississaugas of New Credit, the Huron-Wendat, the Haudenosaunee Confederacy and the Métis Nation of Ontario. 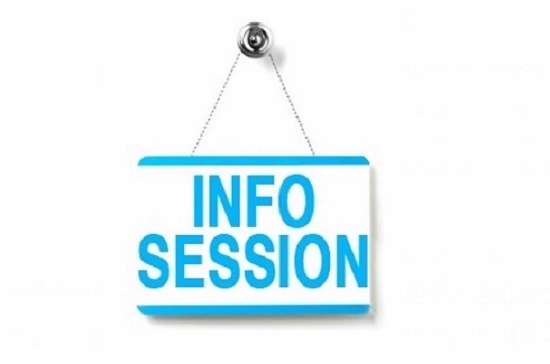 Learn more about the Professional LLM programs being offered by attending an Information Session via webinar. Discover the many benefits a legal master’s degree (LLM) can offer you and your career. Osgoode Professional Development is meeting the needs of practising lawyers by offering part-time programs in over 17 different Professional LLM specializations. Classes are held at our convenient downtown Toronto Conference Centre with some programs available via distance learning, so you can learn from anywhere. of qualifying to practice common law in Canada, there’s a program at Osgoode to suit your needs. 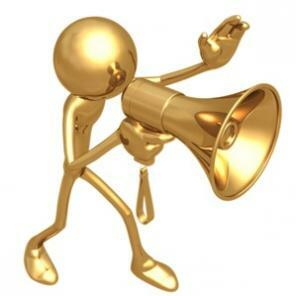 on site (in-person) Open House events or attendance at an online webinar. If your first language is not English, you must have an English language proficiency test score of at least 7.0 IELTS or its equivalent. If you need an advanced academic English course before taking this program, consider applying for York University’s Advanced Legal English (YUELI) program. This course is a two-week intensive introduction to law school study in Canada and Canadian legal practice. The course introduces students to basic common law concepts and teaches students essential skills such as learning by the Socratic Method, taking lecture notes, reading cases and legislation, preparing case summaries, and engaging in common law predictive analysis. Throughout the course, guest speakers will be invited in to talk about various areas of legal practice, including litigation practice, corporate practice and government practice. There will be assigned readings, guest speakers, group discussion and tasks, as well as individual written assignments. If your first language is not English, you must have an English language proficiency test score of at least 7.0 IELTS or its equivalent to be considered for this program. We are seeking participants who have a strong interest in the program and demonstrated academic potential. Thanks to the talent and energy of our instructors, students, and staff, OsgoodePD is a global leader in law school lifelong learning. 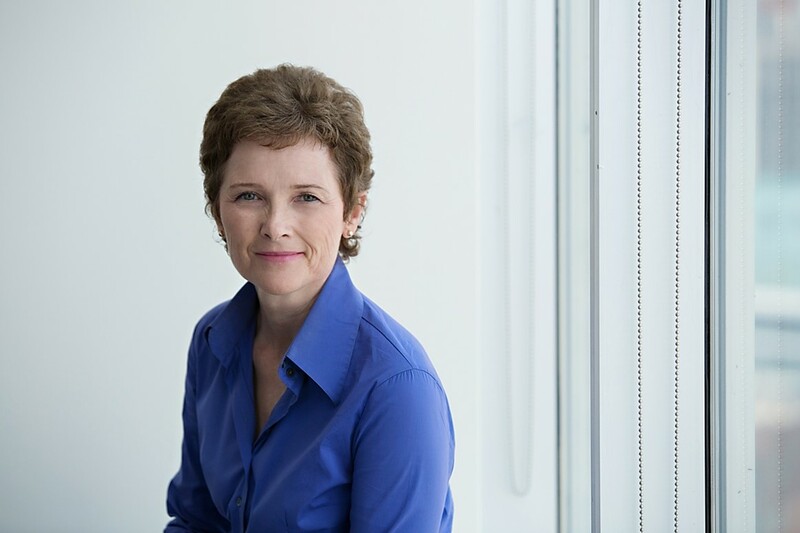 Founded by Dean Marilyn Pilkington in 1995 with the Professional LLM in ADR, OsgoodePD’s programs have grown and evolved. And they will continue to evolve, to provide thoughtful and practical lifelong learning to lawyers, and other professionals and executives with legal obligations or risks in their jobs. I invite you to explore what we offer, and to join us, either in person or online. If you don’t see what you’re looking for, email me atvwatkins@osgoode.yorku.ca. We’re always open to new ideas. If you require accommodations in downtown Toronto, OsgoodePD has arranged Corporate Rates with the following hotels within walking distance of OsgoodePD. 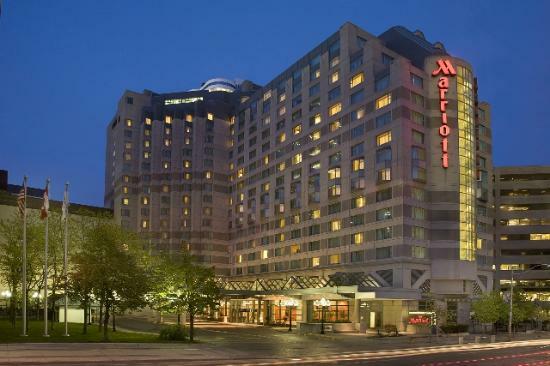 Effective until the end of March 31, 2017, our delegates can benefit from a special corporate discounted rate* per room (standard King or Double Room), per night. This rate is not guaranteed and has limited availability. Rates are offered on Deluxe and Premium suites, for January-December 2016. A Deluxe suite is a studio suite with a kitchen, washer/dryer. A Premium suite is a boutique suite which is a one bedroom suite with a separate parlour area, kitchen and washer/dryer. The parking entrance is located on Edward St. Exit Atrium on Bay onto Dundas Street. Osgoode Professional Development is located directly across the street from Atrium on Bay. Enter off Bay Street, south of Dundas Street. To reach 1 Dundas Street West, exit the parking garage and walk into the Eaton Centre, go up to the street level, you should be outside of Sears, the indoor entrance to 1 Dundas is to the right of Sears. Walking from the City Hall parking garage to 1 Dundas Street W. – Leave the garage from the “Seal” exit onto Bay Street, cross the road and walk down Albert Street. This will take you to the entrance to an entrance to the Eaton Centre. Once in the Eaton Centre, turn into Sears and walk through to the other side. 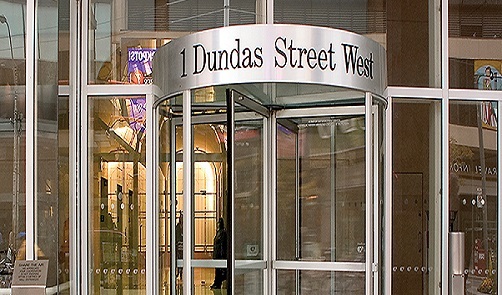 The entrance to 1 Dundas Street West is on your left hand side. Located steps from the subway line, financial district and government offices, the Osgoode Professional Development Conference Centre at 1 Dundas Street West provides a convenient and professional environment for short meetings or full-day functions. Weekend and evening rentals can also be accommodated, subject to availability. Our private meeting rooms include a competitive rate schedule and access to a full range of audio-visual and videoconferencing equipment, not to mention a spectacular view of downtown Toronto. Food and beverage service is also available. We will work closely with our catering partners to provide a package that meets your needs. Packages are designed to focus on the requirements of your function and that of your guests. For further details, including room specifications, catering options, as well as equipment and service offerings, please contact us or download the Rental Opportunities Package. If you are part of the York University community, please inquire via email about special rental rates. Most specializations run on a 1 or 2 year cycle. • Completion of a degree in law from a four year program in an accredited institution outside Canada. You may apply during your final year of studies if your degree will be conferred before you begin the LLM program. • An overall B (75%) average or equivalent. If you have 5 years or more of relevant practice experience, we will consider an exemption from this requirement. Learn more about how York Graduate Admissions assesses international educational credential equivalency. • If your first language is not English, you must supply proof of language proficiency as set out in the table below. You may be exempted from this requirement if you have completed at least two years of full-time study at an accredited university in a country (or institution) where English is the only official language of instruction. We are particularly interested in candidates with professional experience and language scores in the range of 7.5 IELTS or equivalent. We also welcome applications from candidates who do not have a law degree, but have a university degree, a superior academic record and significant work experience in a field related to international business law. International students admitted to the LLM in International Business Law are generally admitted conditional on the completion of preparatory courses in July and August, before the program’s credit courses begin. Note that when assessing language proficiency, we will look not only at your overall test score but also at your individual scores in writing, reading, listening and speaking. If you have a 6.5 IELTS score or equivalent, you are welcome to apply so long as you anticipate that you will be able to meet our minimum language requirements by May 30. For internationally trained lawyer or law graduates that don’t meet the minimum admission requirements,Osgoode’s Pre-LLM Foundations Program is designed to provide you with the language, analytical and writing skills needed to succeed in your studies and beyond. Our program provides the training you need to develop and perfect your skills in a small-group setting, with tutoring and support built-in. The program is also ideal for prospective NCA candidates looking to improve their language and writing skills before embarking on the accreditation process. 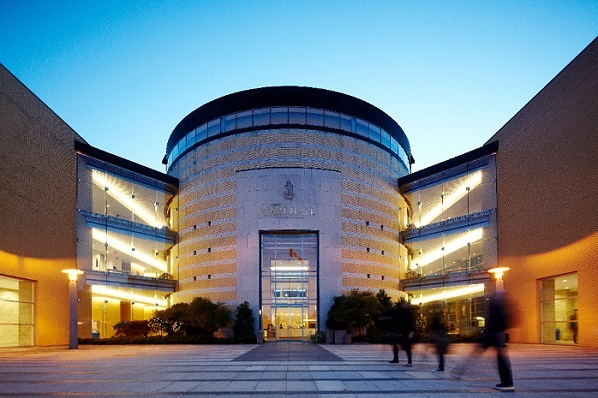 If you are applying from China and are interested in applying to the International Business Law LLM, please contact Tony Y. Zeng, York University’s Official Representative in China at 86-10-58698047, by email or visit the Chinese website. Any applications received by Osgoode Professional Development from China will be redirected to Tony Zeng’s office. If you are applying from India, South and Central America, Southeast Asia, Africa or the Middle East, you are welcome to contact your local Canadian University Application Centre (CUAC) Office for information about our program and assistance with the application process. See CUAC’s website for a list of local CUAC offices. You are also welcome to apply to us directly. To be considered for admission you must demonstrate that you have met the following requirements. Note that these are minimum requirements and meeting them does not guarantee admission to the program. • A Bachelor of Laws degree or its equivalent from a university outside Canada or a Bachelor of Civil Laws (not a common law degree) from a Canadian university. You may apply during your final year of studies if your degree will be conferred before you begin the LLM program. International students admitted into the LLM in Canadian Common Law are conditionally admitted based on completion of preparatory courses in July and August, before the program’s credit courses begin. Note: Results must be sent to our office by the issuing institution in a sealed envelope to be considered official. If you are admitted with a 7.0 IELTS, you will be required to successfully complete a one-month long International Business Law Preparatory Course. For internationally trained lawyer or law graduates that don’t meet the minimum admission requirements, Osgoode’s Pre-LLM Foundations Program is designed to provide you with the language, analytical and writing skills needed to succeed in your studies and beyond. Our program provides the training you need to develop and perfect your skills in a small-group setting, with tutoring and support built-in. The program is also ideal for prospective NCA candidates looking to improve their language and writing skills before embarking on the accreditation process. • An LLB or JD degree with an overall B average (or equivalent). Applicants with less than a B average in the LLB or JD will be considered provided they also have 5 years or more of relevant practice experience. • If your first language is not English, you must supply proof of language proficiency as set out in the table below. • You may be exempted from this requirement if you have completed at least two years of full-time study at an accredited university in a country (or institution) where English is the only official language of instruction. If you do not have an LLB or JD degree, you will be considered provided you have a university degree, a superior academic record and significant work experience related to the specialization for which you have applied. Graduate degree preferred. Note however that the General Law LLM is only open to applicants who hold an LLB or JD. All those admitted to the LLM who do not have a Canadian LLB or JD degree will be conditionally admitted based on completion of the one-week intensive course Introduction to Graduate Legal Studies (GS Law 6149). Courses in the Professional LLM do not fulfill the Federation of Law Societies’ National Committee on Accreditation (NCA) requirements. For a program that is designed to meet the NCA requirements, see the LLM in Canadian Common Law. If you are admitted to the program and you elect to attend via live videoconference (where applicable), you will be required to purchase the hardware and software necessary for participation from OPD at a cost in addition to regular tuition fees. LLM single courses are a great way to explore the Professional LLM experience without committing to a full degree program. Choose from a selection of Professional LLM courses offered each year as single courses in a wide range of subject areas. If you are an internationally trained lawyer or law graduate, consider single courses from the Canadian Common Law LLM to help you meet your NCA accreditation requirements. Apply 6-8 weeks before the course starts. Admission is subject to space availability. OsgoodePD’s Single Course Enrollment (SCE) offerings provide the opportunity to take graduate level courses from OsgoodePD without committing to a master’s degree program. If you want to explore a new area of law, fulfill your Continuing Professional Development (CPD) requirements or if you’re interested in satisfying your NCA requirements, SCE might be the right option for you. Choose from more than 40 LL.M courses offered each year in a wide range of areas. Professional LLM courses are taught by some of the top legal educators in the country, including professors from Osgoode and other leading law schools, as well as top practitioners, judges and policy makers. Students enrollment in the with assessment option participate in all aspects of the course, are expected to complete all assignments/exams and receive a final, official grade. Students in this stream are formally admitted to York University as Non-Degree Visiting Students. Students can take a lifetime maximum of 12 credits with assessment as non-degree students. NCA CANDIDATES: If you are applying for courses to satisfy your NCA requirements, you must apply for Single Course with Assessment. Students who complete single course(s) with assessment and are subsequently admitted to an LLM degree program will receive advanced standing for courses successfully completed subject to the degree requirements of the LLM specialization to which they have applied. Students who audit an LLM course are expected to will prepare for, attend and actively participate in classes but do not complete assignments/exams or receive a final grade. Audit students are not formally admitted, and will not receive an official transcript. However, confirmation of attendance will be provided by Osgoode Professional Development, if requested. Audited courses cannot be considered for advanced standing. Lawyers in some jurisdictions across Canada are required to undertake mandatory Continuing Professional Development (CPD) hours. The Law Society of Upper Canada and Law Society of British Columbia, for example, consider participation in an LLM course as an eligible education activity which fulfills members’ annual CPD substantive requirements (ie. 9 of the 12 required hours). A select number of LLM courses have been accredited for professionalism hours and are indicated on the schedule. LLM courses fulfill substantive CPD requirements and professionalism hours, if applicable, whether they are taken without assessment (audit) or with assessment. 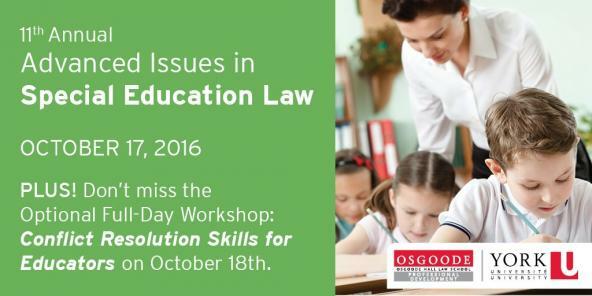 OsgoodePD offers in-house and custom group skills training programs for legal and non-law organizations. We will work with you to maximize your training budget and ensure your team members receive the skills and updates necessary for personal and organizational success. Customized certificate programs are also available. OsgoodePD offers custom and in-house programming in a variety of learning formats and locations. Your team can participate in live, in-person sessions at our downtown learning suite or enjoy live or online programs at your office or designated meeting space. You can choose between one of our pre-existing programs or we will work with you to develop a customized legal update or skills training program. We also offer in-house Certificate programs that deliver in-depth training and onsite assessment. Choose from one of our pre-existing programs or let us develop a custom certificate program that meets the unique needs of your organization. • Cost-Effective Solution. 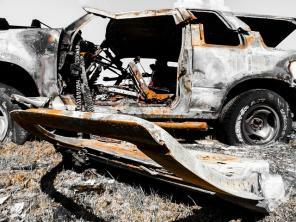 Customizing program content allows you to maximize the value of your training dollars to produce exactly the results you need. • Flexibility. You choose the date, time and location of training. • Tailored Programming. We work with you to ensure your training goals are met. 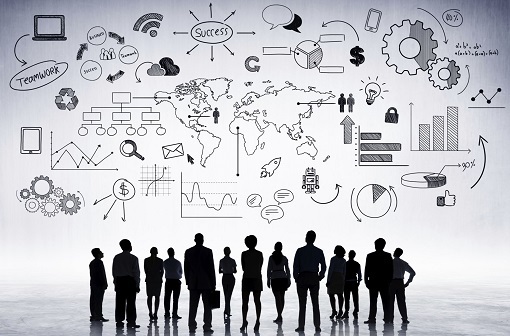 We will develop programs based on specific information provided by your company to address the issues and challenges you face. • Learn from Recognized Experts. OsgoodePD has relationships with the industry leaders, providing your organization with an unparalleled learning experience. • Uniform Message. All team members receive the same information at the same time. • Strengthen Team Dynamic. In the learning process, participants will work together and share common experiences, discuss problems and solutions. • Immediate Results. Our training is focused on skills that can be applied quickly in the workplace. OsgoodePD offers students outside the GTA an opportunity to take LLM courses via videoconferencing! Our cutting-edge videoconference technology uses two-way communication over the internet that allows you to interact with other students by participating in discussions, asking questions and even seeing electronic presentations as easily as if you were in our downtown Toronto classroom. Note: Video-conferencing not available for courses within the Canadian Common Law or International Business Law LLM programs. Using the required hardware and software and a good-quality internet connection, you may be able to participate from your home or office (where applicable). Please note, some courses require in-person attendance. Within a distance 75 km of our location, OsgoodePD assumes that you will attend classes in person. Beyond a distance of 50KM or more in distance from downtown Toronto , you may choose to use OsgoodePD’s videoconferencing option (where applicable). Once you indicate your preference to attend by videoconference, our technicians will contact you to conduct a pre-assessment. The conferencing platform is designed to be used with a computer meeting the minimum specifications; our technicians will determine whether your computer meets those requirements as part of your pre-assessment. Depending on your home/office set up, you may need to upgrade your system or internet connection in order to use the videoconference option effectively. Please note that the videoconference option offers some flexibility in terms of being able to connect to the classes while traveling, however because of the extreme variability in internet connection quality, we cannot make guarantees when using the system outside your designated location(s). Should you decide that the videoconference option is the right choice for you, OsgoodePD will provide the required hardware and software for your computer at your home/office at a cost ($300.00) in addition to the regular tuition fees. If you have specific technical questions, please feel free to contact us and one of our technicians will be happy to help you. Whether you want to specialize in a practice area, are on the road to accreditation, or need additional training in the foundations of Canadian law, OsgoodePD’s programs will provide you with the knowledge and support you need to succeed.